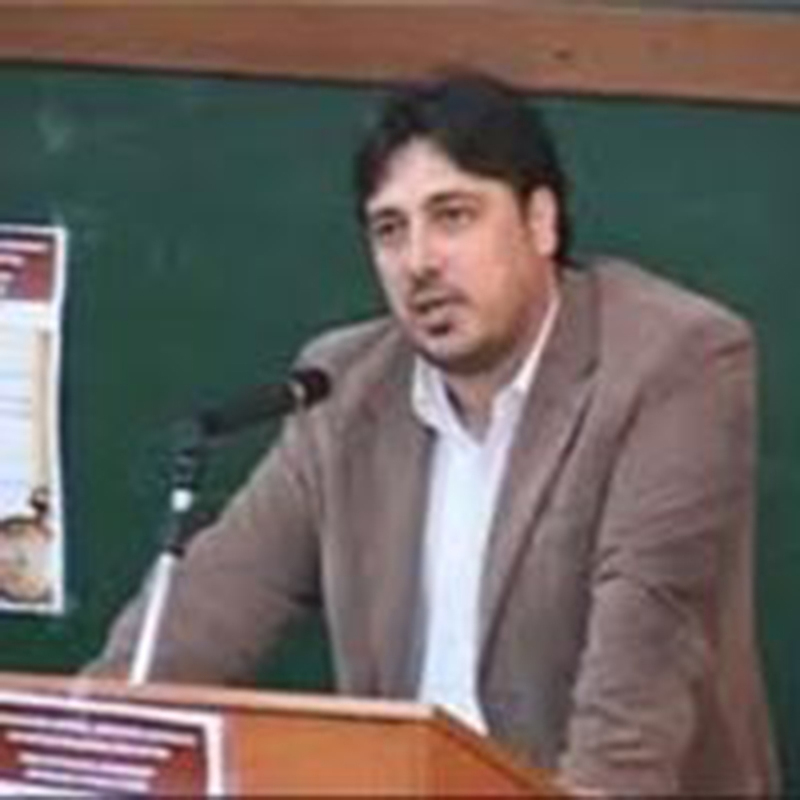 Biography: Dimitris Stamatopoulos is Associate Professor in Balkan and Late Ottoman History in the Department of Balkan, Slavic and Oriental Studies at the University of Macedonia, Thessaloniki. Member of the School of Historical Studies at the Institute for Advanced Study in Princeton, he is the author of numerous articles and monographs on the history of the Œcumenical Patriarchate as well as of the Christian Orthodox populations in the Late Ottoman Empire. He is also the editor of the following collective volumes: Balkan Nationalism(s) and the Ottoman Empire, vol. 3, Istanbul: Isis Press 2015, Balkan Empires: Imperial Imagined Communities in Southeastern Europe, 18th-20th c., Budapest: Central European University Press (forthcoming). What constitutes Byzantium for the nineteenth and twentieth century Balkan nationalists and in what particular way their perception is linked to the management of the imperial model in their historiographies, namely, how they contrived their own « Middle Ages » (and, consequently, their own « antiquity »), and chiefly whether there are continuities or discontinuities in these approaches and the ideological use of the past, are all issues that have not been examined as thoroughly as they merit. While one could thus stereotypically describe the formation of the national historiographical canon in relation to Byzantium, the later nineteenth century provides examples of historiography that deviate from this, both in Greece and in other Balkan cases. This study will persist in analyzing these divergences and insist on highlighting the differences, albeit without overlooking the similarities. The lecture will be critical to the two dominant historiographical narrations on the topic of Balkan revolutions: instead of adopting a description of the national movements as results of the dissolution of the territories of the Great Ottoman patient from the Great European Powers or an autonomous process of repetitive awakenings of sleeping Nations, drugged from the Oriental influence of their ruler, I will attempt a classification as well as a new description of the Balkan national movements as a continuous feedback with the internal sociopolitical schisms in Western Europe, as expressed in the Great revolutionary crises from the end of the eighteenth to the beginning of the twentieth century. The basic thesis of my lecture which will be accomplished as monograph is that, in order to explain the present-day powerful position of the Orthodox Churches in Eastern and Southeastern Europe, we ought not to turn our attention solely to the historical relation of these churches with the state (as most historians researching this field have done up until now), but primarily to the means by which these churches succeeded in gaining control of the realm of private sphere and thus, influencing the formation of civil society. Actually, we have a question about the historical background of secularization in this region of Europe. The period of the history of the Œcumenical Patriarchate from the middle of the eighteenth to the beginning of the twentieth century was characterized by a transition from the old Phanatiot families to what we call « Neo-phanariots » of the post-revolutionary period. However its extremely interesting that the Orthodox clergy achieved to preserve not only its privileges but also its hegemonic role in the administration of the Patriarchate and generally of the Rum millet. The lecture will focus on the construction of mixed laic-clerical interest groups as well as on transformation of the power networks trying to re-interpret and unify different « stories » of the Œcumenical Patriarchate’s life which have been narrated separately by the traditional Greek and Balkan historiography like for example the Privileges issue, the Monastery issue, the Bulgarian Schism as well as the relation of the Patriarchate with the irredentist policy of the Greek state.